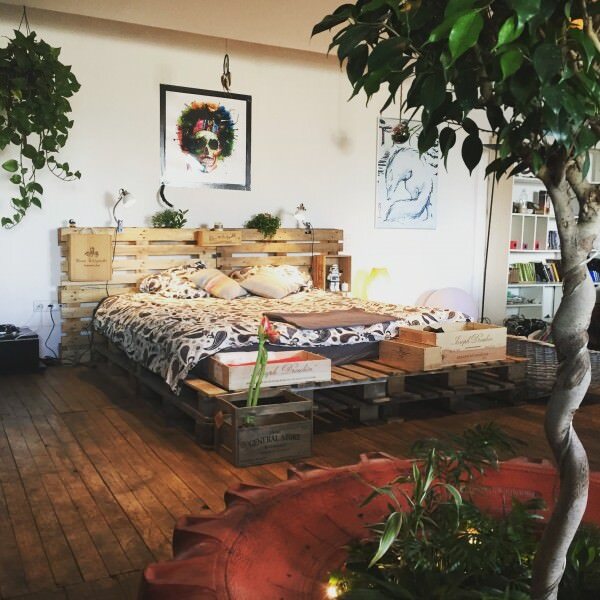 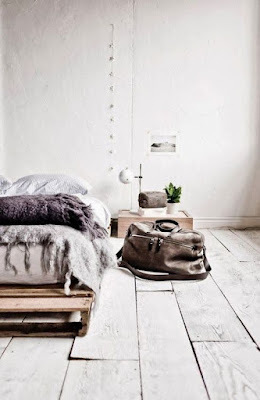 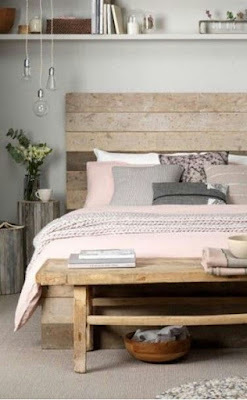 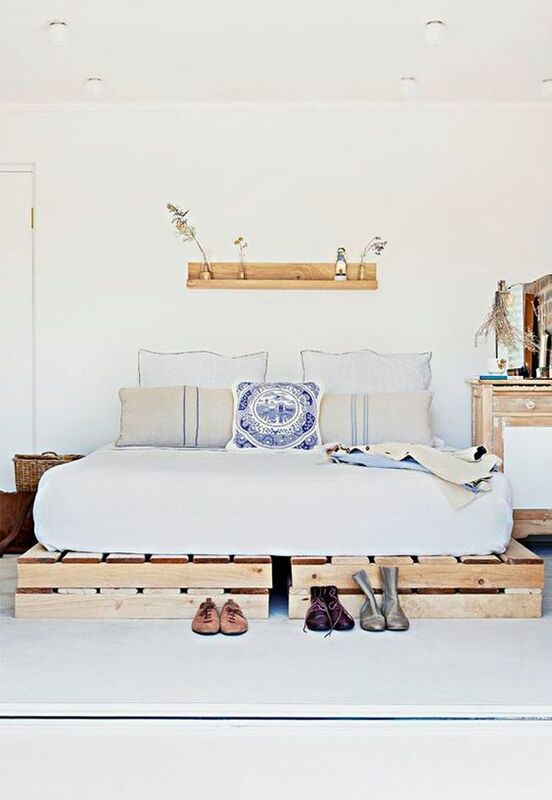 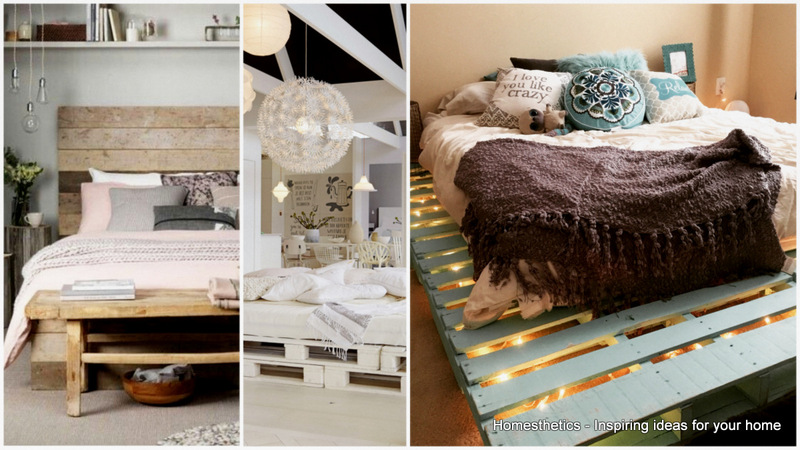 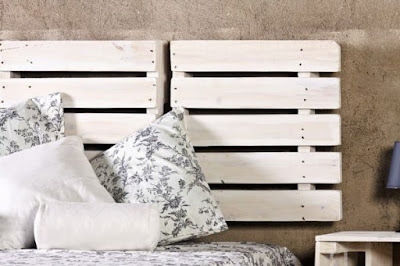 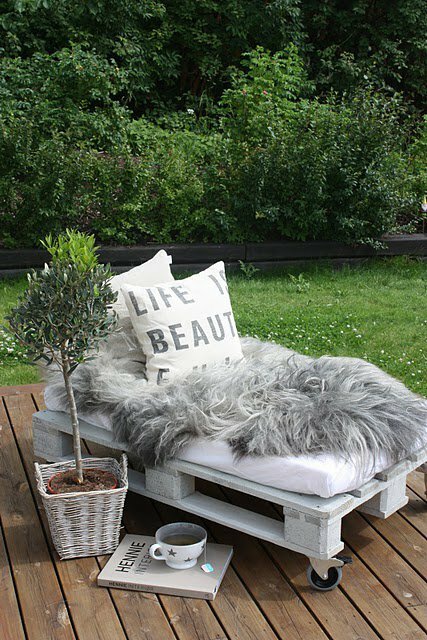 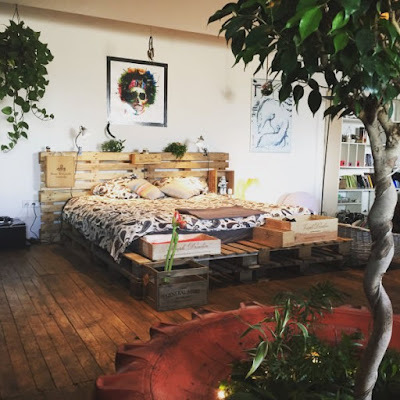 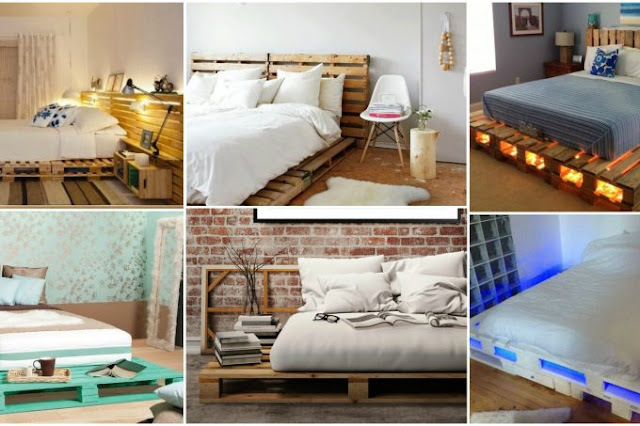 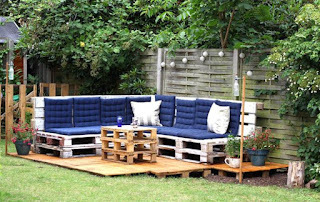 Earlier this year we have gathered a collection of the most beautiful 101 DIY pallet projects to take on, providing you with what be believe to be useful inspirational information for future DIY projects. 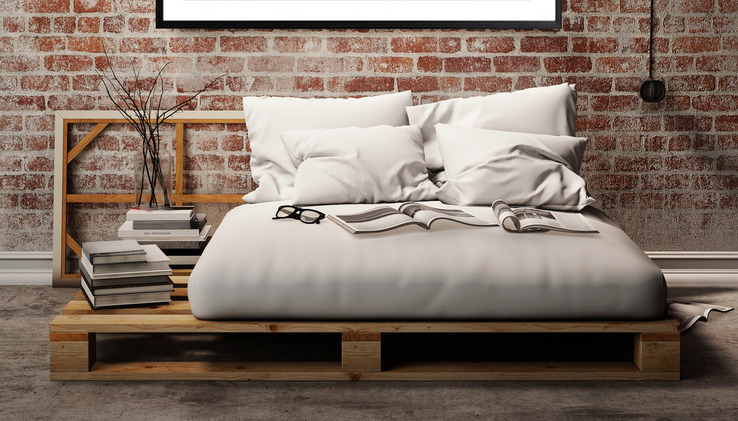 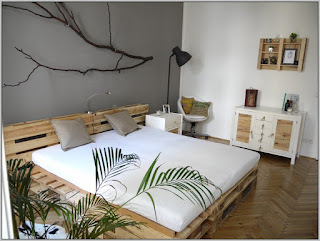 Today we have focused our attention to recycled pallet bed frames, a topic commonly encountered and of high interest among fellow drafters. 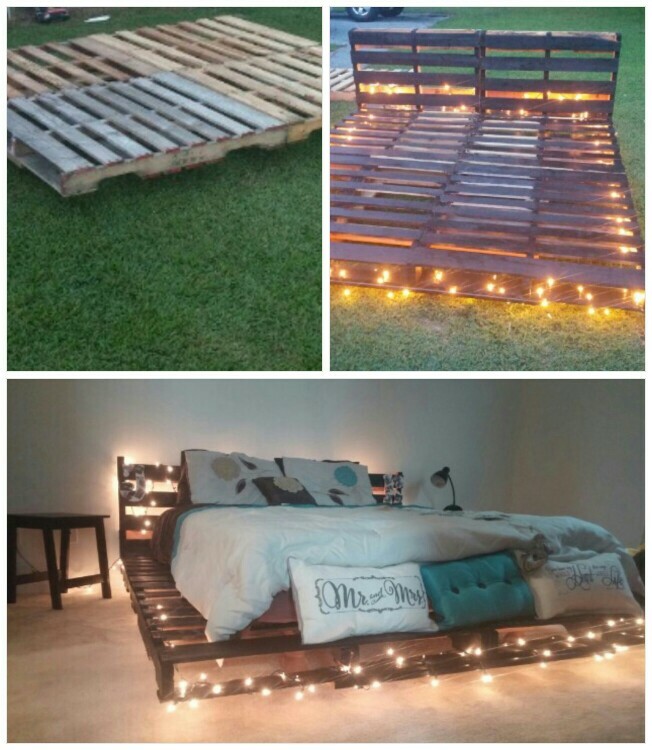 Pallet wood is an infinite resource, filled with creative possibility and multiple functions. 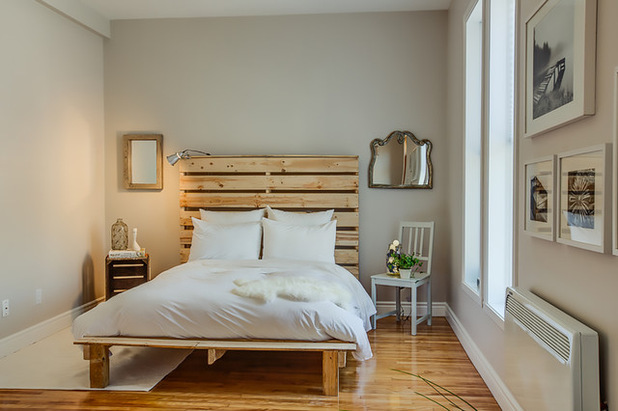 The number of pallet projects or areas where pallet wood proves to be useful grows larger with each passing day, filling in blanks left in the furniture industry and being re-adapted, reinterpreted and beautified in creative, imaginative ways. 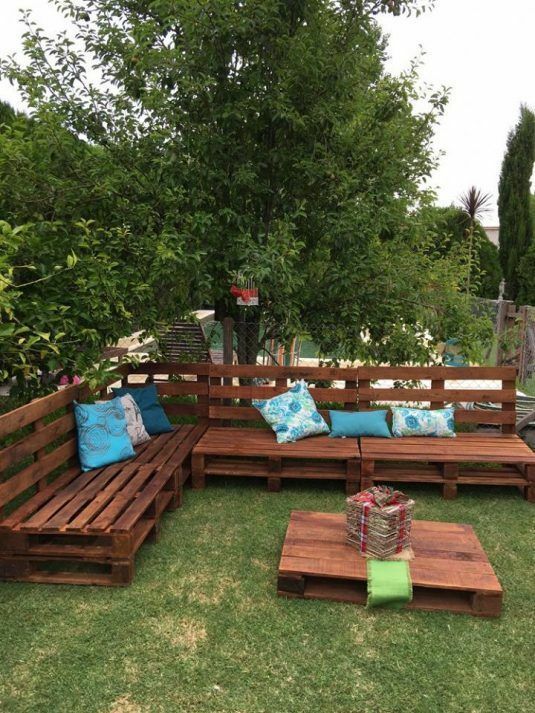 Whether we are talking about recycled pallet bed frames, outdoors patio furniture, pallet coffee tables, raised garden beds and so on, pallet wood is and should be recycled and up-cycled on a daily basis. 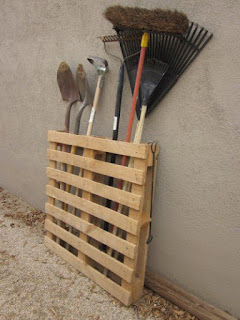 “A pallet , sometimes inaccurately called a skid (a skid has no bottom deck boards), is a flat transport structure that supports goods in a stable fashion while being lifted by a forklift, pallet jack, front loader, work saver, or other jacking device, or a crane. 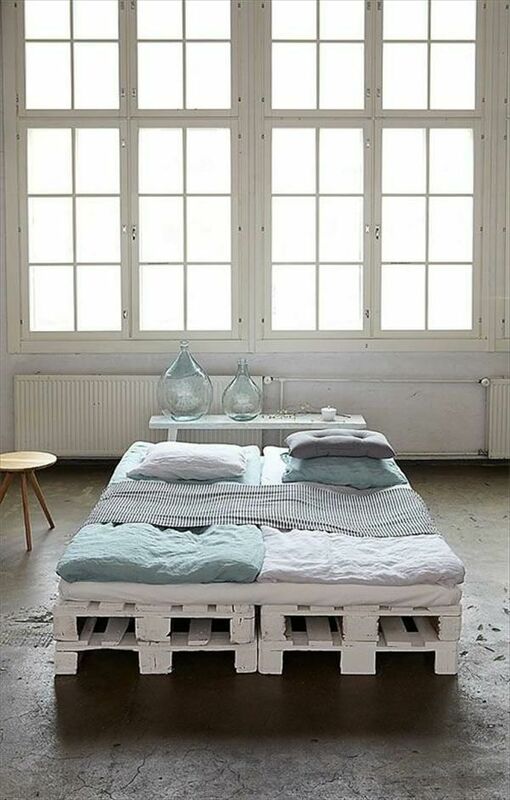 A pallet is the structural foundation of a unit load which allows handling and storage efficiencies. Goods or shipping containers are often placed on a pallet secured with strapping, stretch wrap orshrink wrap and shipped. 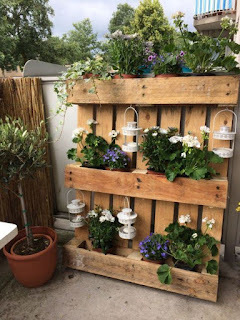 Since its invention in the twentieth century, its use has dramatically supplanted older forms of crating like the wooden box and the wooden barrel, as it works well with modern packaging like cardboard boxes and Intermodal containers commonly used for bulk shipping. 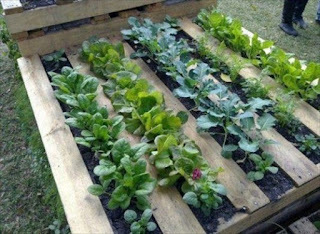 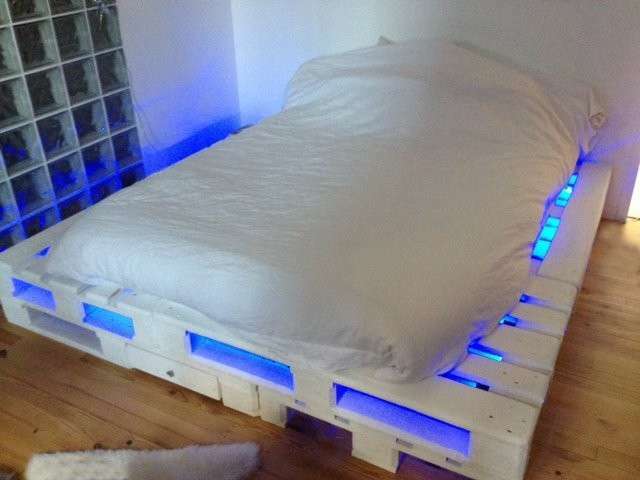 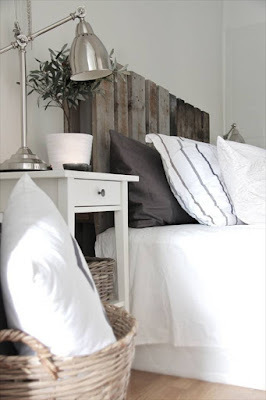 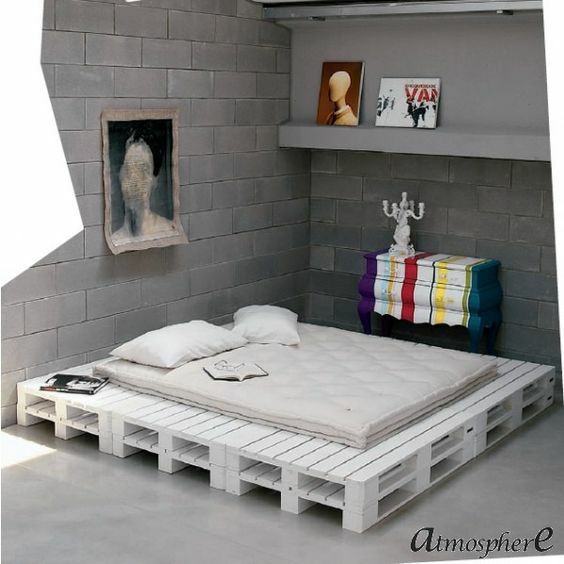 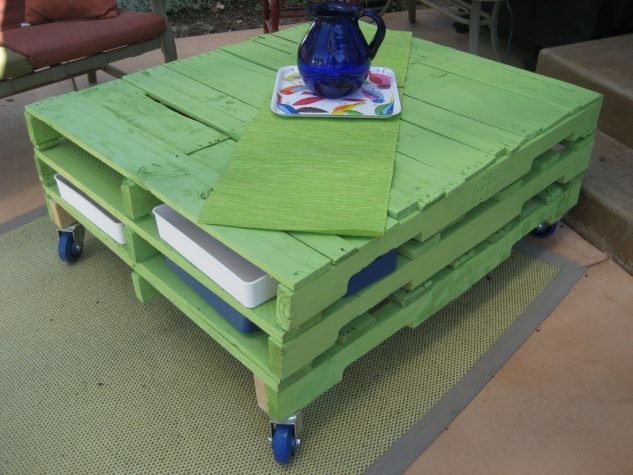 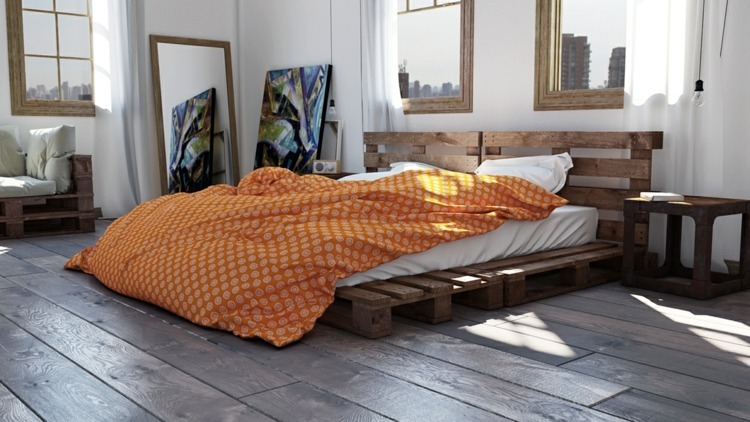 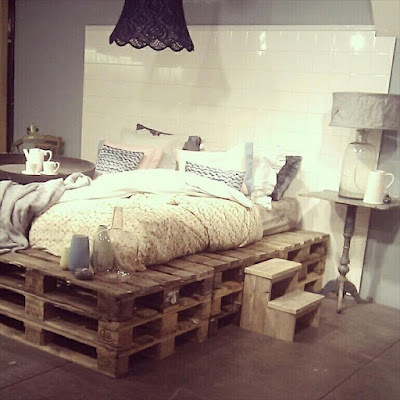 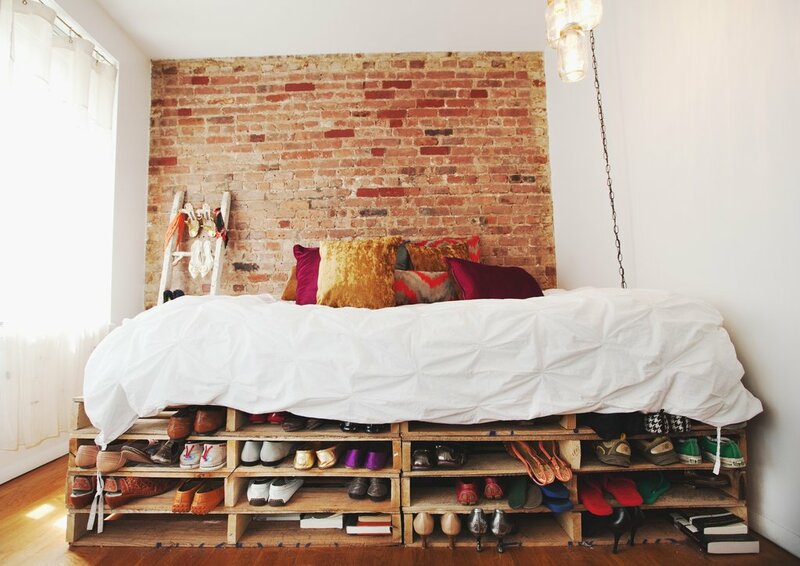 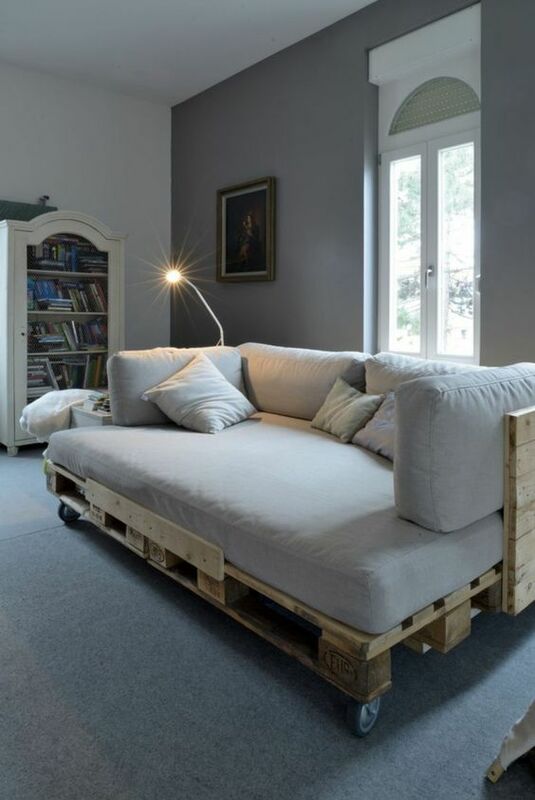 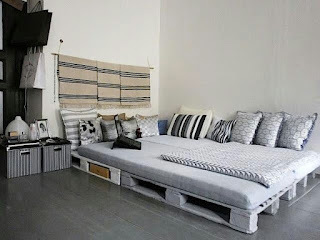 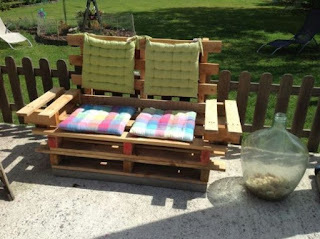 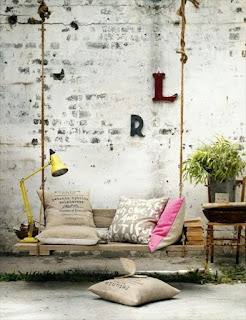 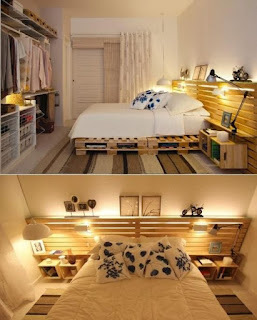 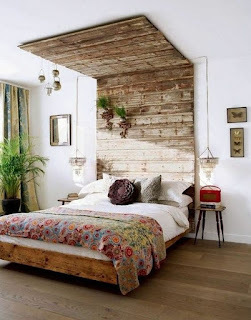 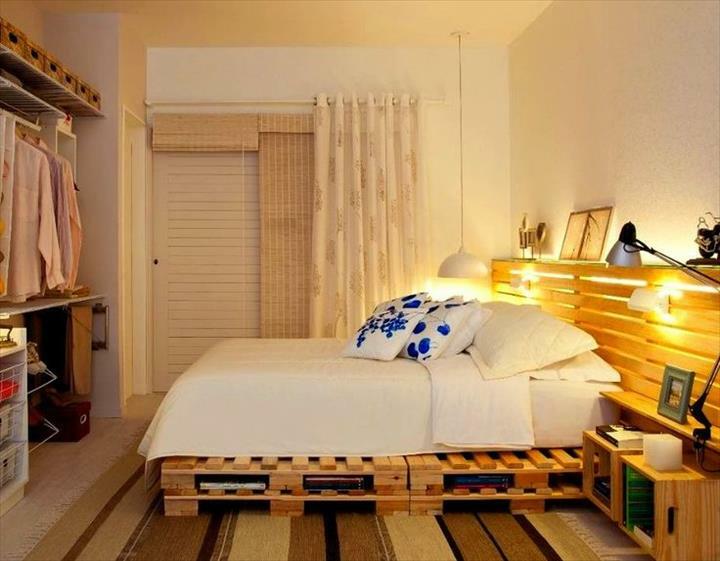 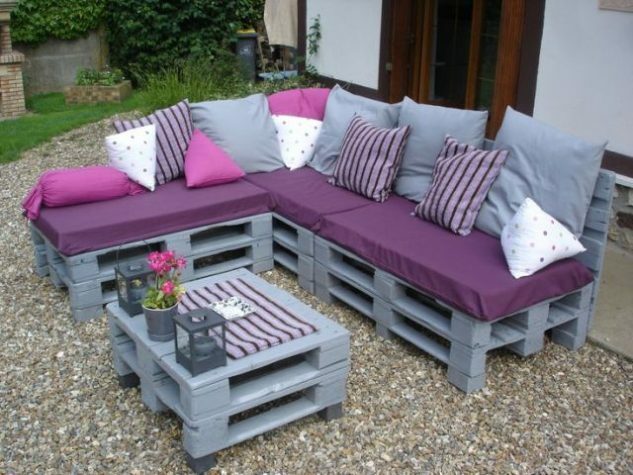 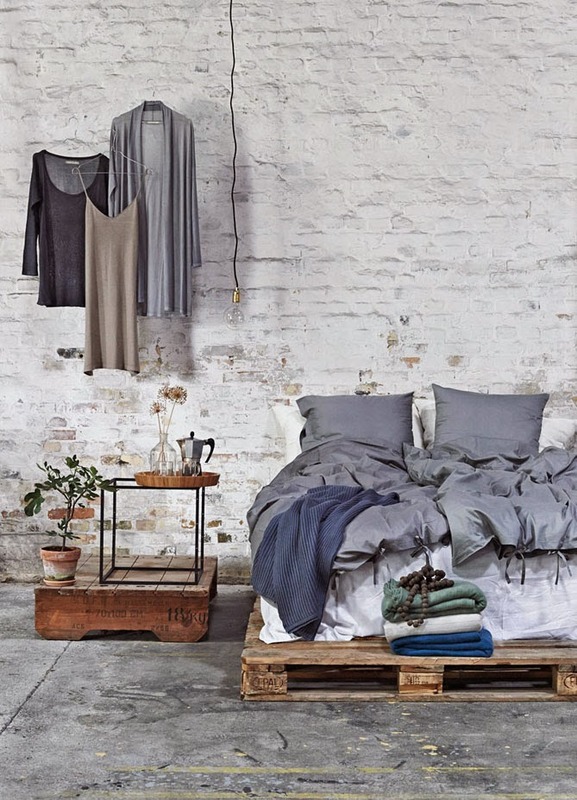 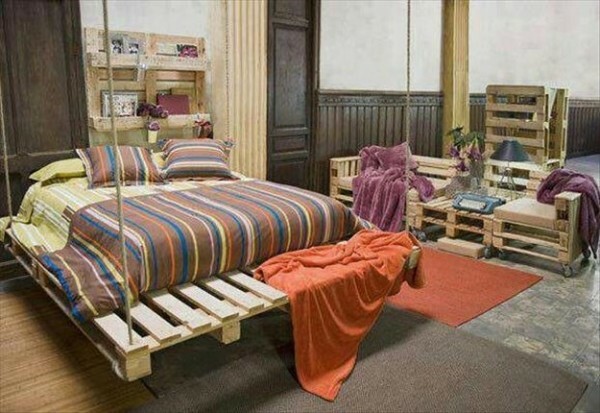 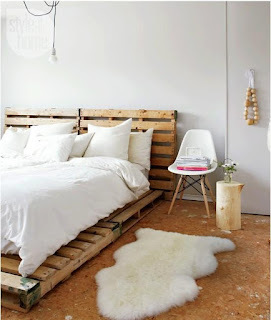 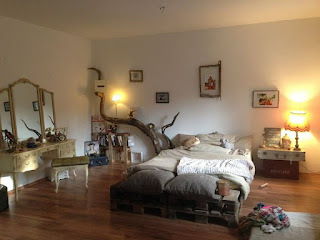 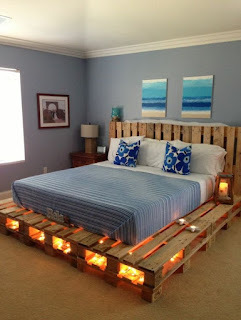 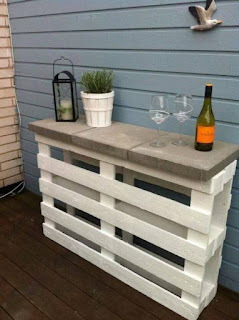 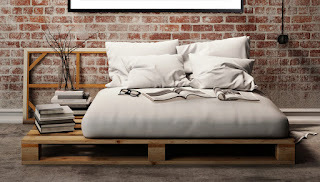 Pallets are good wooden material for re-purposing. 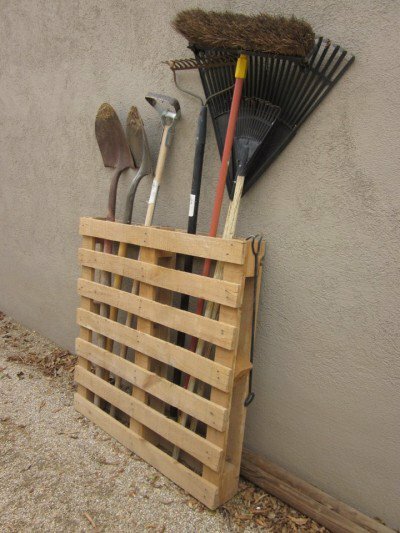 They are used for many things. For distributing some things, for putting some things on it, etc. But if we don’t need them anymore we shouldn’t throw them away. 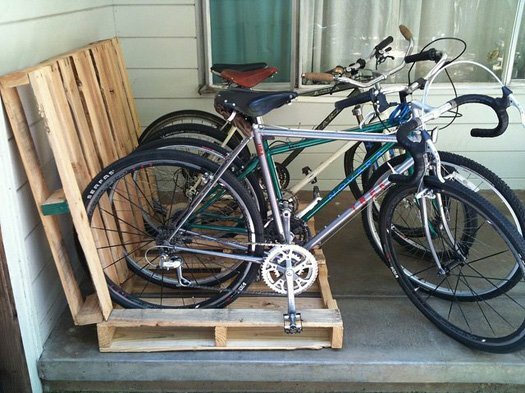 We can re-purpose them in appropriate way. 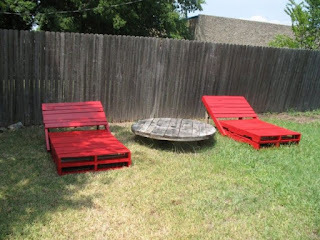 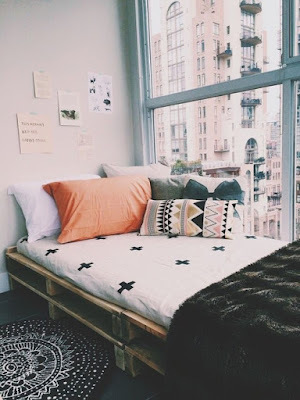 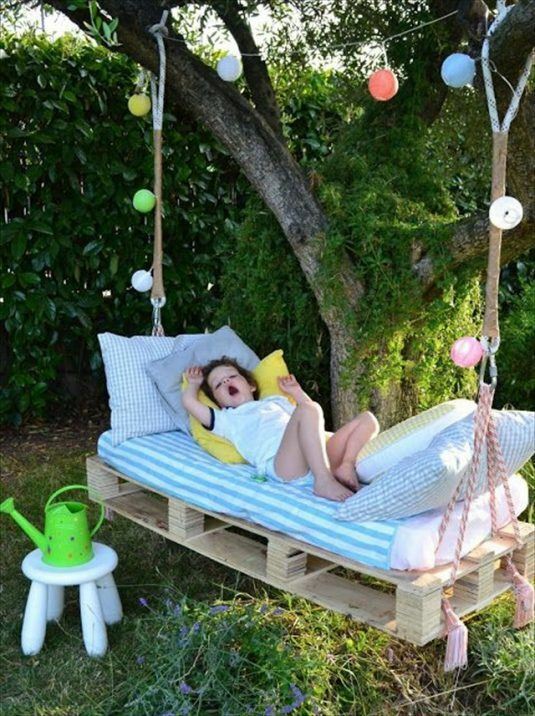 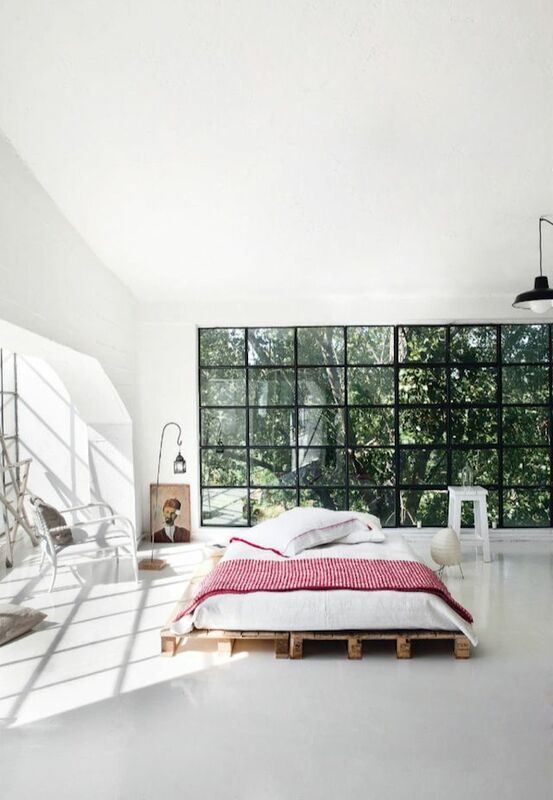 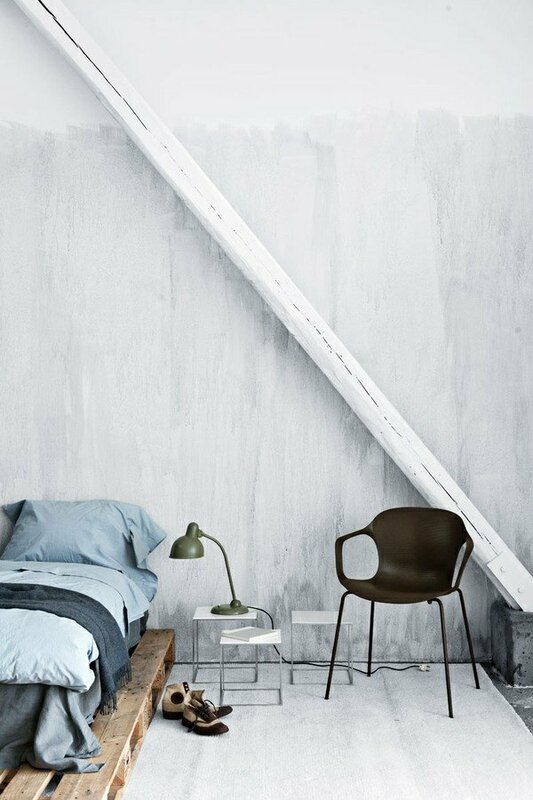 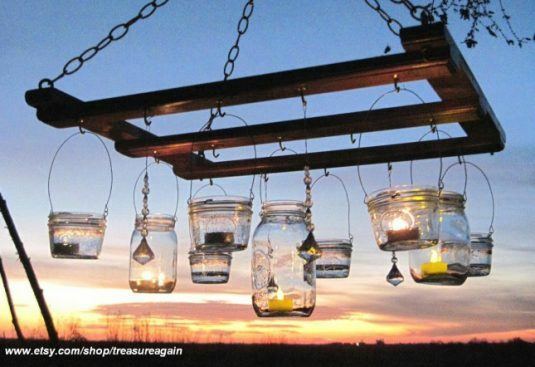 They could be painted with paint and be transformed into bed, table, storage for alcoholic or refreshing drinks, swing for reading books, swing for relaxing and sleeping, pallet furniture and so many things for your outdoor. 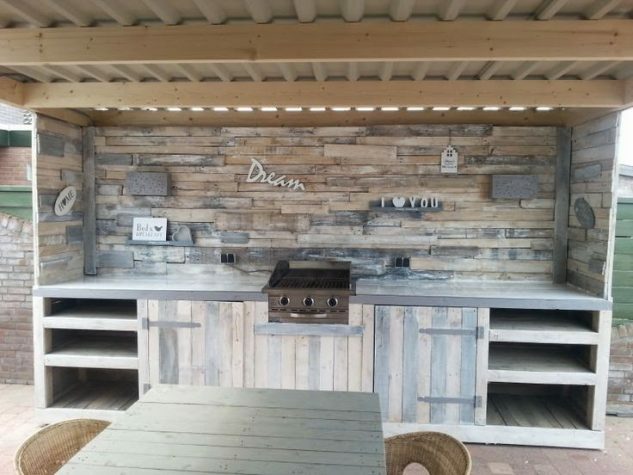 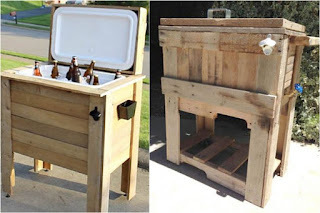 Small pallet outdoor kitchen where you can cook or maybe you could do small pallet outdoor kitchen for your little kids. They will have a lot of fun in it. Made your outdoor space spectacular just by yourself. 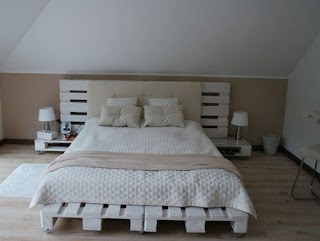 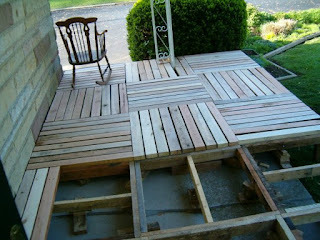 Pallet floor will save you money and also will be easy for maintaining. Be creative. 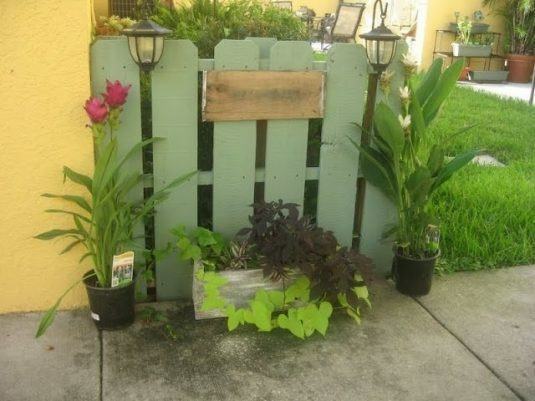 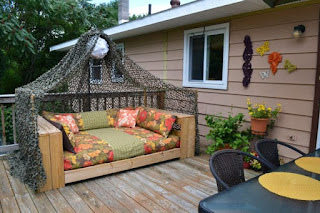 Now, you could make an outdoor pallet garden and to have an attractive outdoor space room. 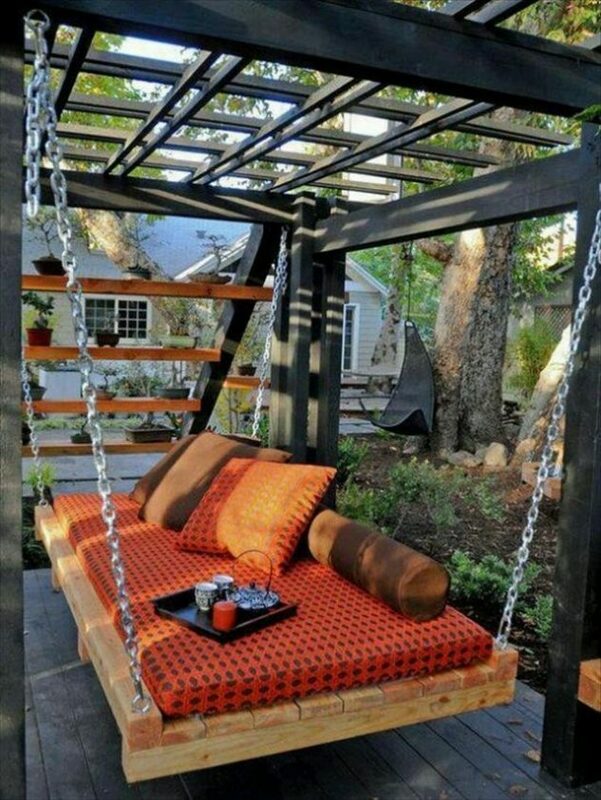 But if you decide to do something like this you need time and also a patience. Have amazing garden and also save money.